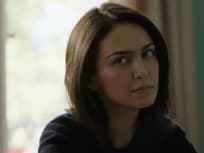 On Counterpart Season 2 Episode 10, Mira's looming threat ends up forging some very unlikely alliances on the latest episode titled, "Better Angels. On Counterpart Season 2 Episode 9 Management makes a historic decision; Emily sends a warning; Quayle, Clare, and Temple investigate the final Indigo cell; Howard Prime reaches out to an old contact. 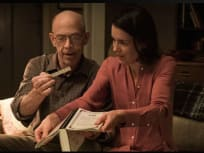 On Counterpart Season 2 Episode 8, Howard must face the truth about his wife, while Howard Prime and Emily work together to try to figure out Indigo's plans. 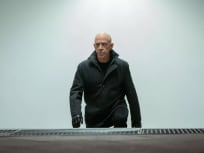 On Counterpart Season 2 Episode 7, Clare questions her allegiances, while Howard and Emily Prime search for clues about the history of Management. On Counterpart Season 2 Episode 6, the origin of the parallel worlds will be examined in great detail including the event that sent them onto divergent paths. On Counterpart Season 2 Episode 5, Clare reconnects with her past, while a revelation puts Howard Prime and Quayle in jeopardy, and life at Echo is disrupted. 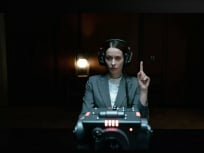 On Counterpart Season 2 Episode 4, Emily Prime turns her investigation toward her other, while Howard Prime, Quayle and Clare must unite against a common enemy. 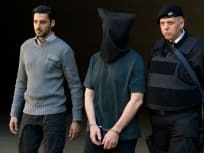 On Counterpart Season 2 Episode 3 Howard is transferred to a mysterious prison called Echo; an unexpected visit gives Emily a connection to her old life; Emily Prime and Shaw's investigation is met with resistance. On Counterpart Season 2 Episode 2, imprisoned in Dimension Two, Dimension One Howard's loyalties are tested and Dimension Two Emily gets a promotion. 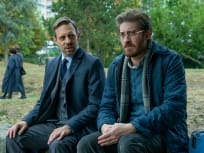 On Counterpart Season 2 Episode 1 while hiding in Howard's life, Howard Prime must avoid detection at home and at the OI; Quayle and Clare struggle to adjust to their new arrangement.